Meghan MacLaren has climbed from ninth to fifth place on the European Solheim Cup team points list following the Jordan Mixed Open presented by Ayla. 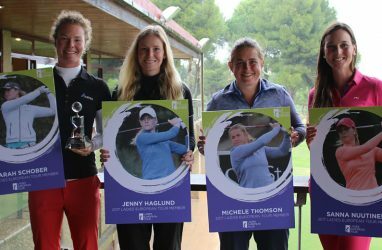 The 23-year-old Englishwoman finished second in a field where Ladies European Tour members took on their counterparts from the Challenge and Staysure Tours and her performance caught the eye of this year’s European captain, Catriona Matthew, who sent her a text message after the final round. “Just the fact I got a text from her is pretty inspiring really! It’s obviously nice to know I’m on the radar and it will only make me work harder over the next few months,” said MacLaren, who has also moved up to second on the LET order of merit following a win and three further top 10 finishes from six starts so far this season. The top three players on the European Solheim Cup list following the Aberdeen Standard Investments Ladies Scottish Open, will qualify for Team Europe, along with the next top five eligible players from the Rolex Women’s World Rankings. Matthew will announce her four captain’s picks live on Sky Sports on the morning of Monday, August 12, at The Gleneagles Hotel in Scotland. The 2019 Solheim Cup will be played over the PGA Centenary Course on September 13-15 and it’s a course where MacLaren enjoyed success last summer, playing in the European Team Championships where she earned silver and bronze medals for Great Britain. 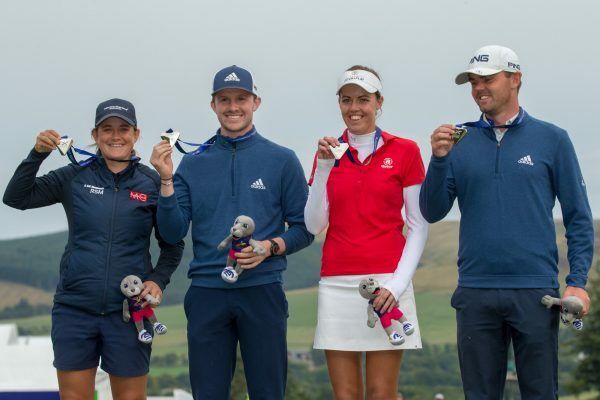 Left to right: Michele Thomson, Connor Syme, Meghan MacLaren and Liam Johnston won silver in the inaugural European Mixed Team Championships played over the PGA Centenary Course at Gleneagles. She said: “The European Championships was one of my favourite events of last year. Playing alongside Michele Thompson was really fun, and we both felt like the course played to our strengths, which I think was reflected in our performance that week. We beat some really strong players. 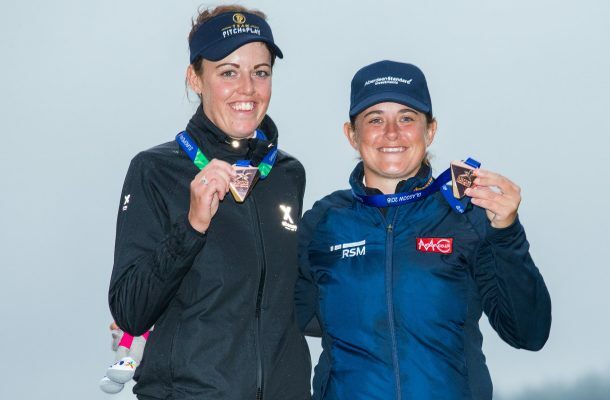 Left to right: Meghan MacLaren and Michele Thomson also won bronze in the inaugural European Team Championships at Gleneagles. With four majors – the US Women’s Open, KPMG Women’s PGA Championship, the Evian Championship and the AIG Women’s British Open – plus six further Ladies European Tour events to be played between now and the cut-off date, the race to qualify is still wide open, but MacLaren knows that a berth on the team is within her reach. 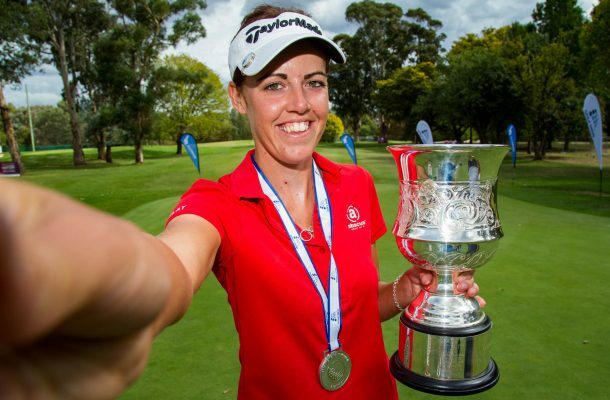 MacLaren has performed under intense pressure this year, both at Ayla Golf Club in Jordan and at in the Women’s New South Wales Open at Queanbeyan GC in Australia, where she closed out her title defence by conjuring a brilliant eagle on the 16th hole to reel in the leader. “I’m just going to keep on working in the way I have been. Things have improved a lot in my game over the last few months and having consistent results and better scoring is evidence to me that I’m working on the right things and in the right way. Staying focused on what works well for me is my only concern,” she added. The next tournament is the Lalla Meryem Cup at Royal Golf Dar Es Salam in the Moroccan capital of Rabat on April 25-28, where MacLaren will be targeting a third LET title. “I can’t wait. I love the course in Morocco and I think it really suits my game, because you have to hit it straight and be confident on the greens. I feel in a great place with my game at the moment, and having the adrenaline of being at the top of the leaderboard is one I want to replicate every time I tee up. 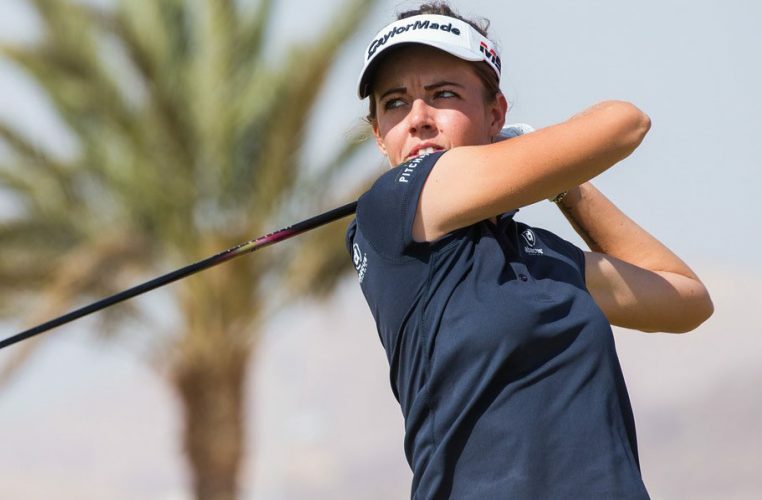 Following on from the Jordan Mixed Open and ANA Inspiration and heading into the Lalla Meryem Cup, the top eight players on the European Solheim Cup rankings comprise Anne Van Dam, Carlota Ciganda and Charley Hull from the points list, followed by Georgia Hall, Azahara Munoz, Anna Nordqvist, Caroline Masson and Jodi Ewart Shadoff from the Rolex Women’s World Golf Rankings. MacLaren will be looking to add her name to that list with four months to go… and counting.  Solheim Cup tickets are available to purchase here.